‘Rejoice, so highly favoured! 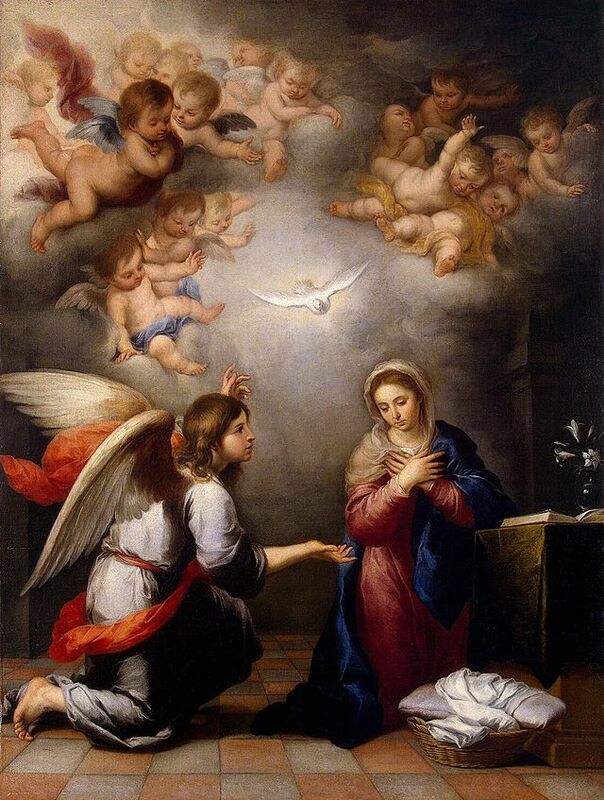 The Lord is with you.’ S he was deeply disturbed by these words and asked herself what this greeting could mean, but the angel said to her, ‘Mary, do not be afraid; you have won God’s favour. Listen! You are to conceive and bear a son, and you must name him Jesus. He will be great and will be called Son of the Most High. The Lord God will give him the throne of his ancestor David; he will rule over the House of Jacob for ever and his reign will have no end.’ Mary said to the angel, ‘But how can this come about, since I am a virgin?’ ‘The Holy Spirit will come upon you’ the angel answered ‘and the power of the Most High will cover you with its shadow. And so the child will be holy and will be called Son of God. Know this too: your kinswoman Elizabeth has, in her old age, herself conceived a son, and she whom people called barren is now in her sixth month, for nothing is impossible to God’ ‘I am the handmaid of the Lord,’ said Mary ‘let what you have said be done to me.’ And the angel left her. I got stuck miles away in a small village and had no flight. There was a public holiday so I had to stay put. A family put me up for the night and fed me! This was an annunciation! Annunciations announce the coming of the Lord, favour from God. Life is full of little and big annunciations. Ways in which we bring the Son of God alive within the world. The beginning now of what would later be the resurrection event. And for Mary it was ordinary – probably at the well. Getting the water for the day. Any time we find genuine help, compassion, justice, all the gifts of God’s Spirit, then this is annunciation. 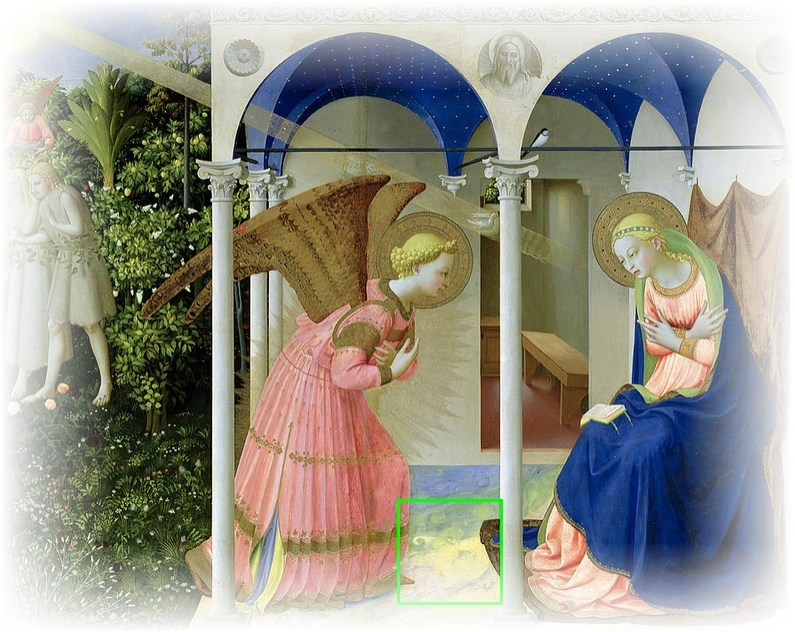 What Mary got at annunciation was the overshadowing of the Holy Spirit. It was sort of her confirmation day. We are the people who find grace and hope in the middle of everything. The tradition is of Mary meeting the angel at the well! Maybe like in Tesco, Spar, Centra, the middle of a bus journey, and with the children and the friends and the family. It can happen anywhere. There is always a response. If you have been gifted, you give. Someone let me out the corner in the car, and I let the next person out. Someone visited me in hospital and I did the same later. Our Christmas way of celebration and helping others is a response. Don’t ask did you get over the Christmas, but did Christmas get into you. Let the big mystery of God’s love get deeply into us this time of year. This entry was posted in Gospel of Luke, Gospel Reflection, Liturgy Resources, Prayer Resources, Scripture and tagged 4thSunday of Advent Year B, Angel, annunciation, Donal Neary SJ, Gospel Reflection, Gospel Reflection for 4th Sunday Advent 2014, Jesus Christ, Mary, Nazareth, Sunday Scripture and Refelction for 21st December 2014.